Oman-based Ithraa, a leading inward investment export development agency, recently hosted a delegation from Sri Lanka, with the aim of promoting and enhancing trade and investment relations between the two countries. Dr Salem ben Nasser Al Ismaily, chairman of Ithraa, received the Sri Lankan delegation which was headed by Karu Jayasuriya, speaker of the Sri Lankan Parliament and K Pathmanathan, Sri Lankan Ambassador to Oman. The meeting was also attended by Dr Said Al Mharmi, member of the Majlis Al Dawla, Ithraa’s advisor for planning and follow-up; Ali Al Balushi and Nasima Al Balushi, Ithraa’s director general for export development and acting director general for investment promotion. 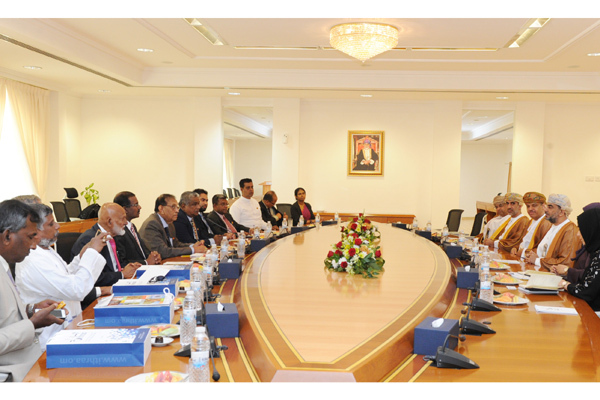 The visiting Sri Lankan delegation aims to promote and enhance trade and investment relations with Oman, said a statement. Real gross domestic product (GDP) growth is projected to rise to 4.4 per cent in 2018, supported by a recovery in agriculture and industry and robust growth in services, reaching 5 per cent over the medium term, it said. Many in Oman’s business community believe Sri Lanka offers unique opportunities for Omani exporters, said a statement. Strong economic growth, an educated labour force, a growing middle class and access to markets in the region makes it an attractive market for Omani exporters, it said.